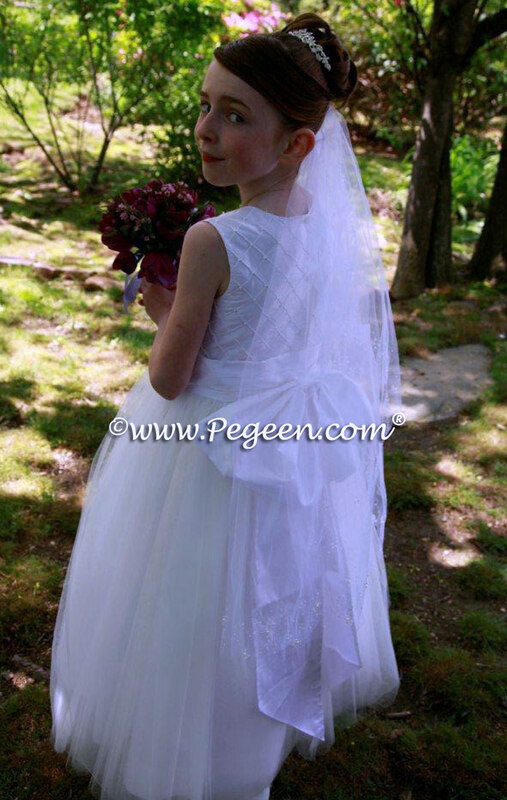 We are always so happy to receive the photographs from our customer’s daughters who have their First Holy Communion. 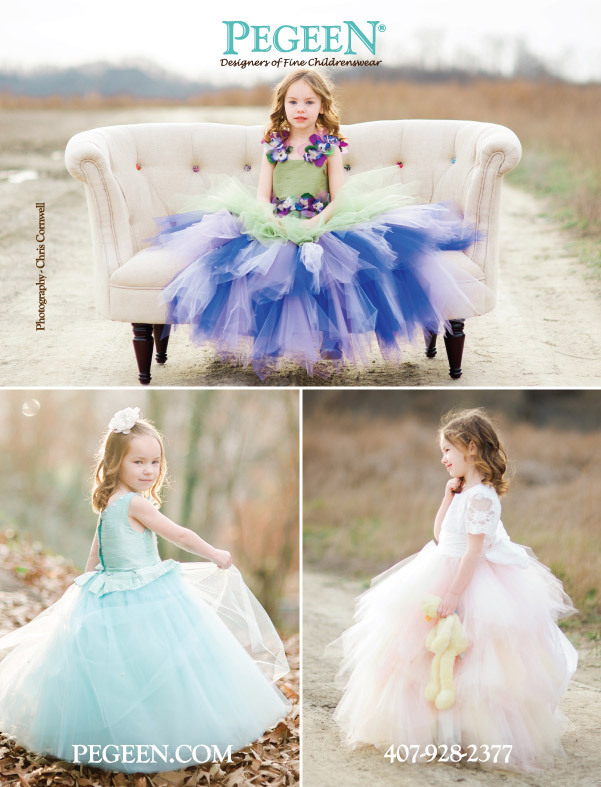 She used our flower girl dress style 409 and made some changes. 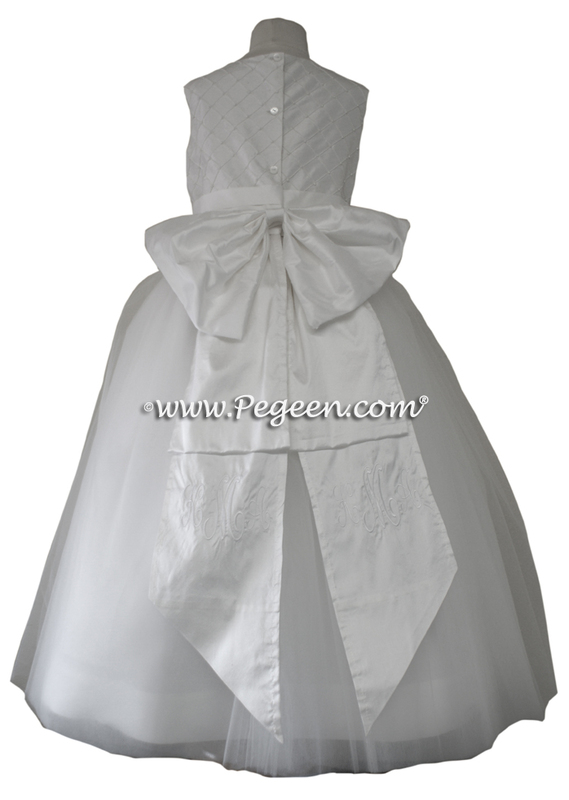 This dress was based on style 409 and had it made in antique white. 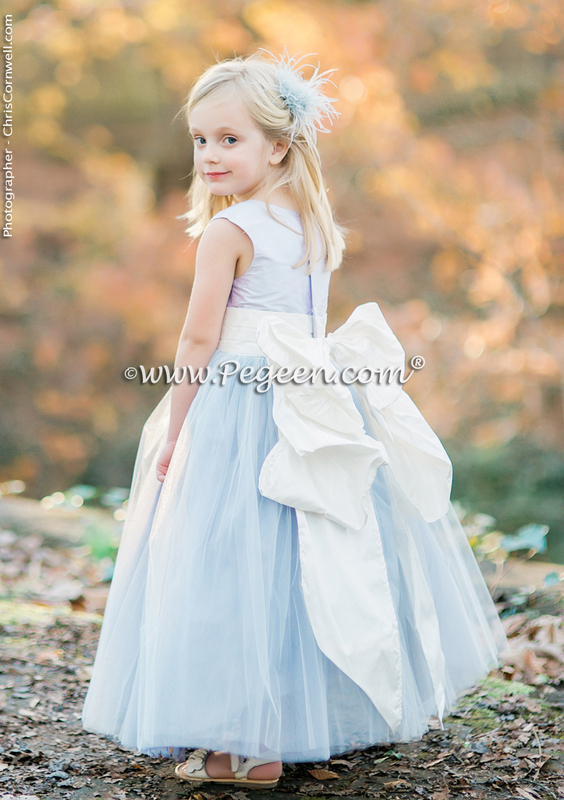 She had us add a Cinderella bow, a double layer of tulle and monogramming for her daughter’s Monogrammed First Communion Dress. Her extra charges were $75. 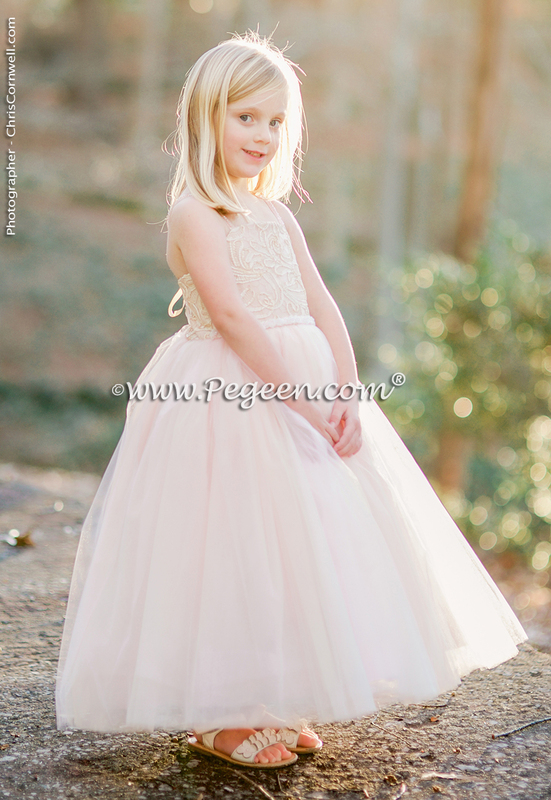 This was such a beautiful pink and green flower girl dress we made! 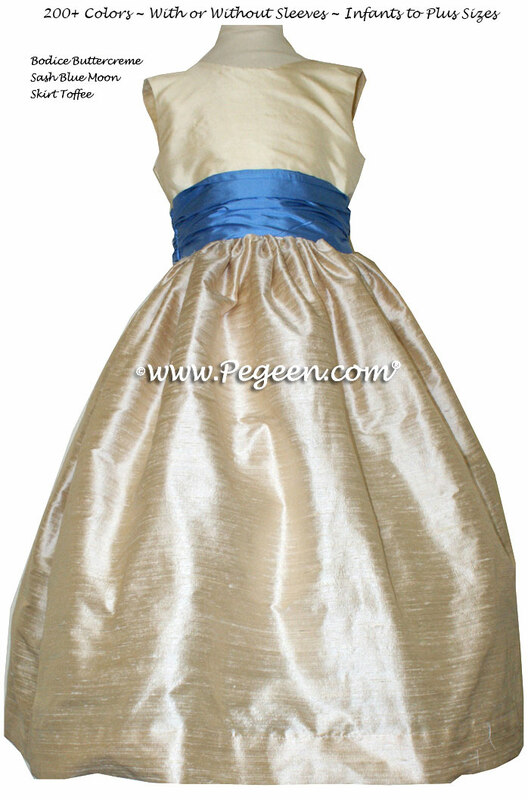 Emerald green silk and a hot pink color called FUCHSIA with an antique white bodice. 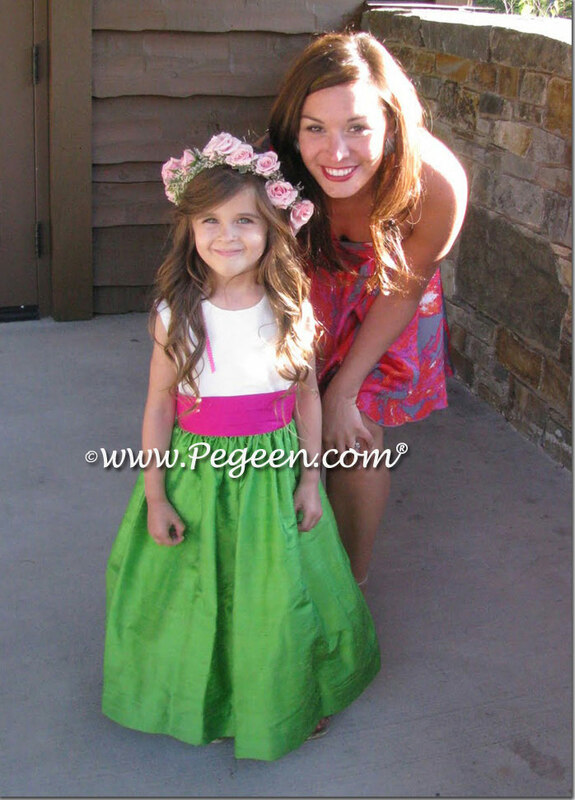 We LOVED this emerald green and hot pink silk flower girl dress in Colorado!